Now that Halloween is over and your jack-o-lanterns are starting to turn to mush, you need to know how to purge them properly! But how do you dispose of your pumpkins? Throw them in the trash? Think again! Studies show that 1.91 billion pounds of pumpkins grown annually in the US end up in landfills from fall loving people simply throwing their pumpkins in the garbage. 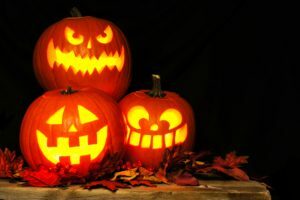 Lucky for you there are many different ways to dispose of your spooky decorations that is both good for the environment and great for your landscape! Compost has nutrients that plants need to grow to their full potential, like nitrogen, potassium, and phosphorus. Having a compost bin at home is a great way to produce natural materials composted to make a great amendment to your soil for gardening on a smaller scale. Throw your pumpkins into your bin and you’ll be feeding your soil in no time. Feed them to your nature friends. Pumpkin seeds can be a great treat for birds and other wildlife. As long as they aren’t salted or seasoned, they are safe for animals to munch on. Deer are big fans of pumpkins as well, so don’t be shy about breaking them into chunks and spreading them around your yard! Another way to display your pumpkins for a bit longer is to turn them into an all-natural flower or plant pot. If you have cut out a face on your pumpkin, you can line it in burlap to make sure the soil doesn’t fall out. If you don’t already have an established compost pit another option for you is to bury your pumpkin. You can dig small shallow holes in your garden and place small pieces of pumpkin in the hole. Cover the holes with soil and let nature take its course! It will soon decompose and enrich the soil for the rest of your flowers and plants. Disposing of your pumpkins the proper way is very important. Being able to put the nutrients back into the soil that once helped the original pumpkins grow is one of the wonderful things about nature. Good soil doesn’t always come naturally though. That’s where Keleny Top Soil steps in. 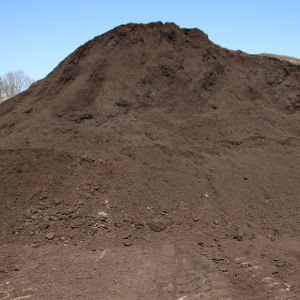 We help provide you with the best soil and compost that will make your landscape the envy of all of your neighbors!